A national transport group has called on the ACT government to sell off Canberra’s bus service Action, which it says will improve the public service. 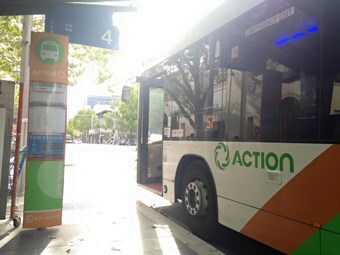 The Transport and Tourism Forum (TTF) expressed its view in a submission to the ACT budget, that the state-run bus service could improve the customer experience and reduce costs, if it was run by private operators. "The private sector has stronger incentives to use infrastructure more efficiently, deliver better operational performance and improve the customer experiences," the submission reads. "In contrast, public operators in monopoly markets tend to lack strong incentives to improve services for customers and increase efficiency." TTF pointed out that Action was one of the last wholly government-run bus networks in Australia. "There is a strong weight of evidence, both domestically and internationally, to demonstrate that franchising public transport services can bring significant benefits to the customer and the taxpayer," the submission reads. "Private operators are able to deliver these benefits because they can leverage significant experience from involvement with multiple public transport networks, and they are better equipped to attract and retain high quality staff. "This can be reinforced by financial incentives to realise efficiencies and deliver high levels of customer satisfaction. TTF is confident that putting Canberra’s bus network out to tender is likely to improve the quality of service and lower the operational costs for government and taxpayers.